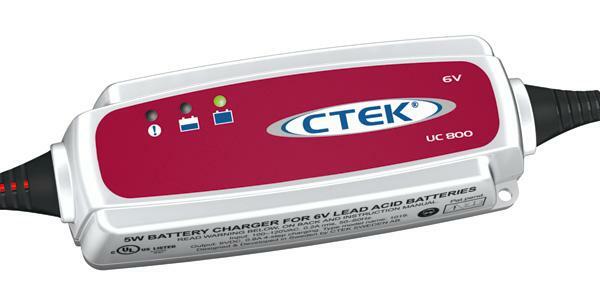 The CTEK Charger, UC 800 is a the battery charger that gives your old car a new life. 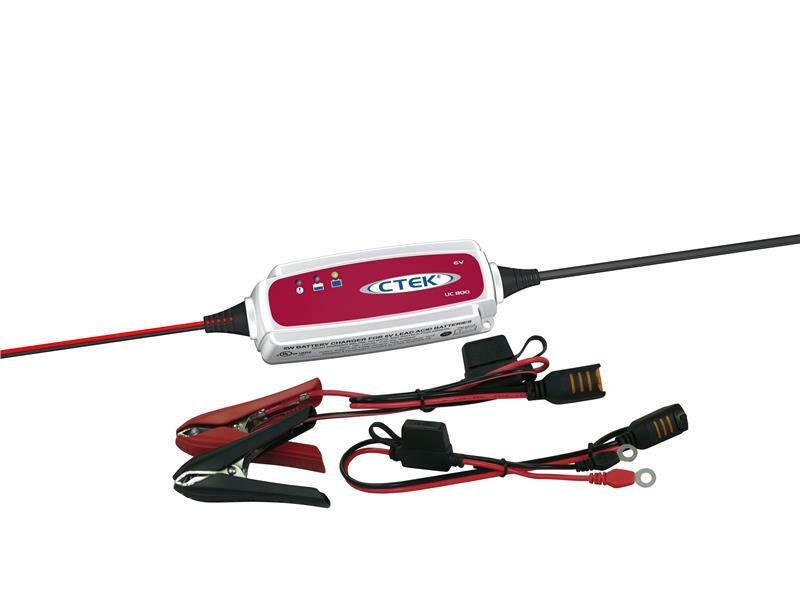 It is a complete 6V battery charger in a diminutive format that charges everything from small batteries of 1Ah up to the larger tractor batteries. Perfect for charging your vintage car and a scooter. Includes two interchangeable connection leads, one with clamps, and one with eyelet terminals. **) Ripple describes the quality of the current and voltage. A high current ripple heats the battery and shortens its life. A linear charger has a current ripple of 70-400% which is much larger than the maximum 5% for a modern sealed battery. High voltage ripple could harm other equipment that is connected to the battery. UC 800 delivers voltage and current with very low ripple. The battery has a long service life and there is no risk of damage to other electronic devices connected to the battery.